The OKCU campus community will be notified through a variety of mechanisms including Blue Alert Emergency Event Notification texts (must opt-in to service to receive texts), emails and web announcements. During an emergency, the OKCU homepage will broadcast emergency alerts and direct users to this emergency page which will outline the university’s response and provide important updates. Emergency – Call 208-5911 or 5911 from a campus phone Non-Emergency Campus Police – 208-5001 or 5001 from a campus phone. 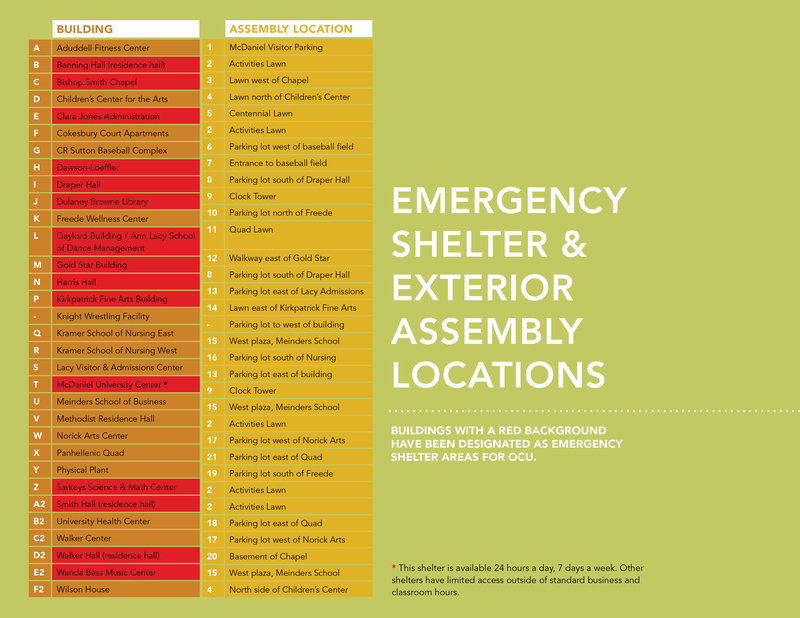 Indicated in red, these are indoor locations to shelter from severe weather. 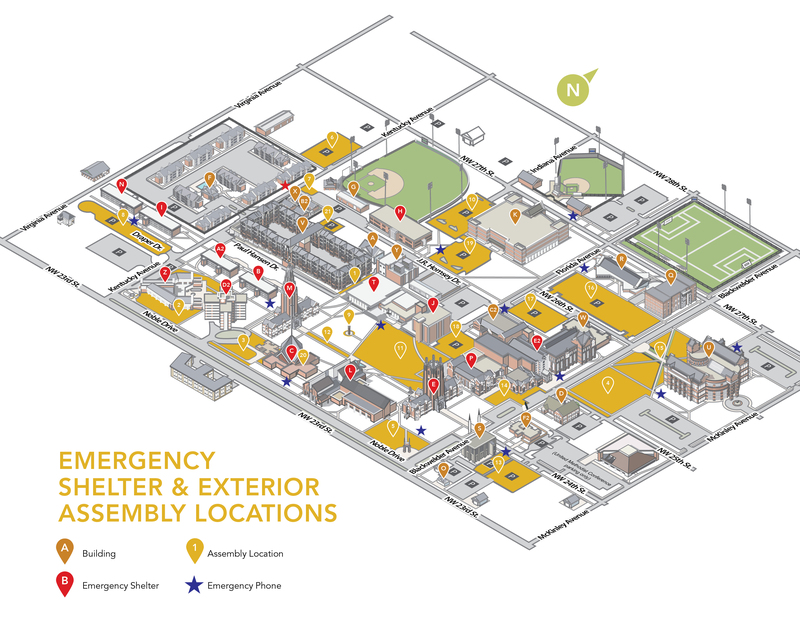 These are outside locations to assemble if you're instructed to evacuate a building. The numbered outdoor locations at right correspond to the lettered building names next to them on the left.